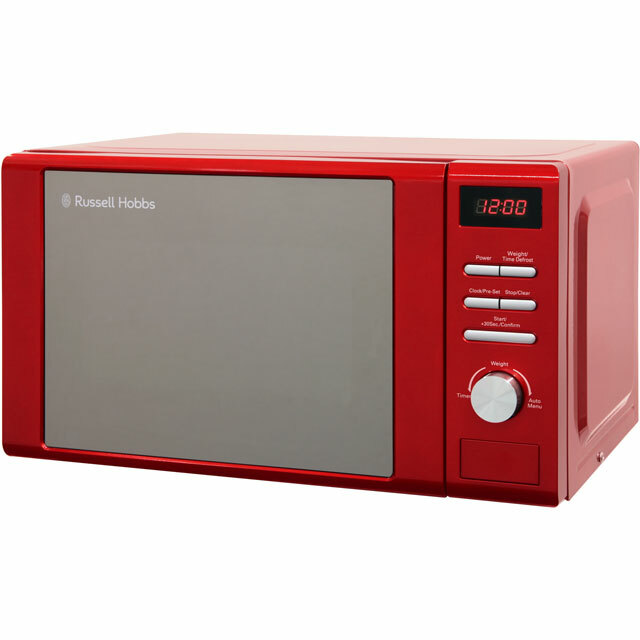 For a stylish addition to your worktop, look no further than this red microwave from Russell Hobbs. With its 17 litre capacity, it’s ideal for smaller kitchens. 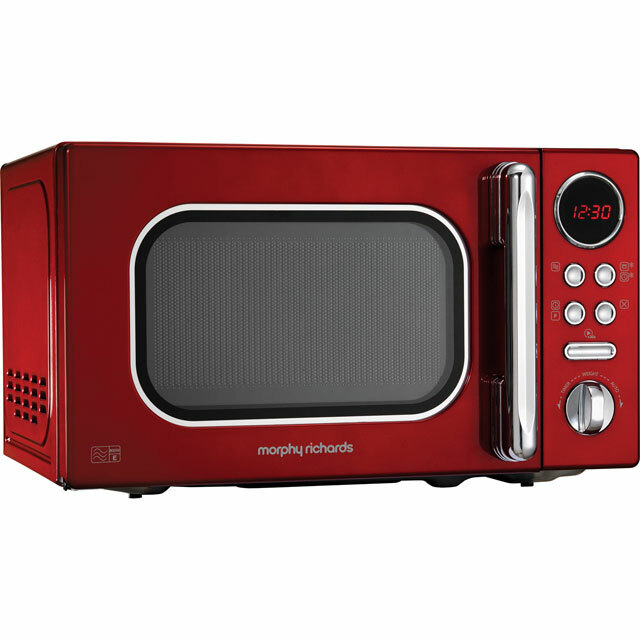 It has a 700 Watt power output too, so you’ll never wait long for your tasty creations. The handy defrost feature thaws out frozen food in a flash - so there’s no need to panic if you forget to take ingredients out of the freezer. Your meals will always be perfectly prepared as well, as the control panel lock prevents any accidental changes to your cooking settings. 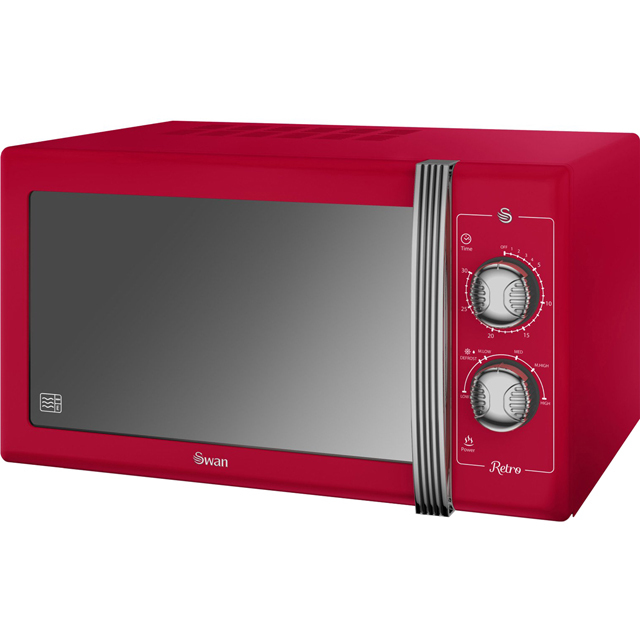 It even has easy-to-use button controls, so you’ll be ready to dine at the push of a button. 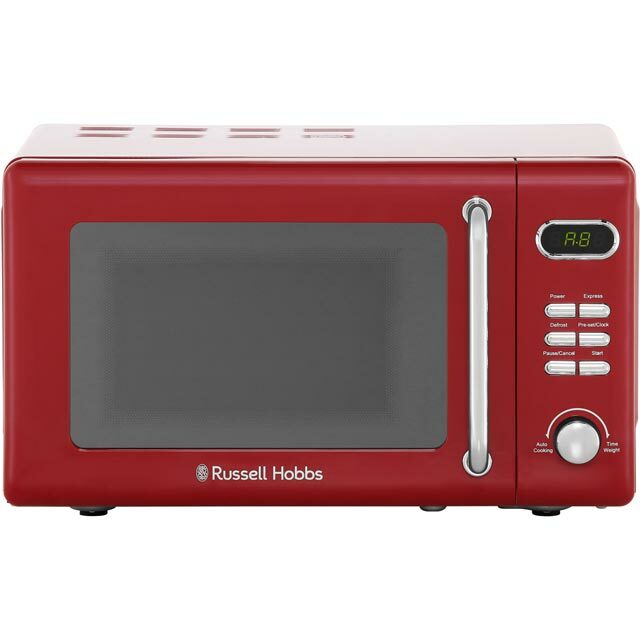 Our old microwave broke down and as I wasn’t happy with the make from the start I decided to look at a different brand. Chose the Russel hobb for the colour and because it’s a brand name. Used it several times and can’t fault it. Great service from ao.com too. The microwave is lovely looking but there is a mark on the door also a few scratches on the top. Compact, looks good, easy opening and the white plastic interior is easy wiped clean. Controls are easy to use, Press start for 1 minute of cooking and then you adjust with the dial. Great value for money. 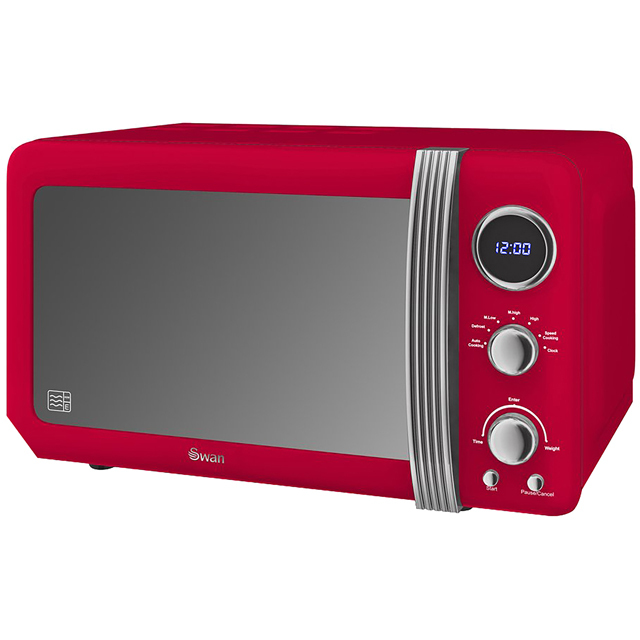 this mircowave is ideal for a small kitchen.looks good controls are easy to use.reheats quickly etc.